Some of you know that I had re-written a pattern for a knitted baby crown, which is published in THIS post. 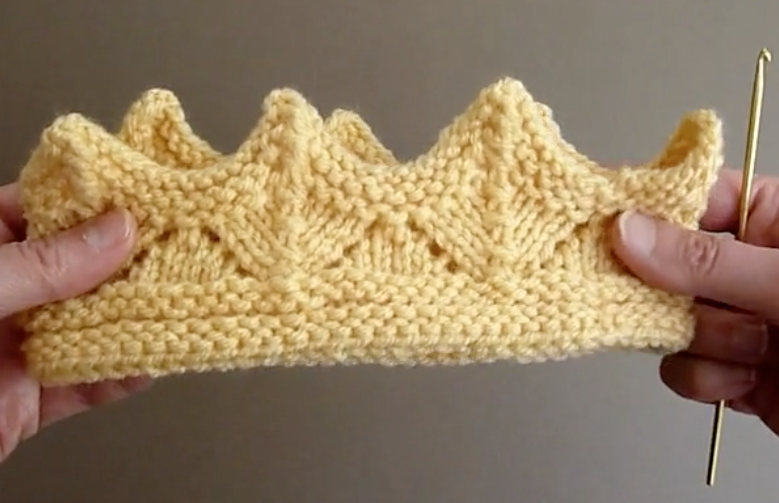 I decided to make a video of knitting the crown. However, I made a couple of little mistakes in the video, which I pointed out on the screen, so there should be no problem following the video. It would be best if you print out the step-by-step directions first, and then watch the video along with your printed pattern. If you have a computer with a very wide screen, then you do not need to print out the pattern. Instead, you can open two windows next to each other and read and watch the instructions that way. Note: The silver crown which is made from Lion Brand Yarns, Vanna's GLAMOUR (fine yarn #2), and fits baby with 15"-17" head. The yellow crown in the video was knitted with Red Heart "Super Saver" (medium yarn #4) and that fits 19" head and can stretch up to 21". Both crowns were knitted with size 5 needles, which silver crown is softer and looser, while the yellow crown is stiffer and can hold shape better. Enjoy and good luck with this project. 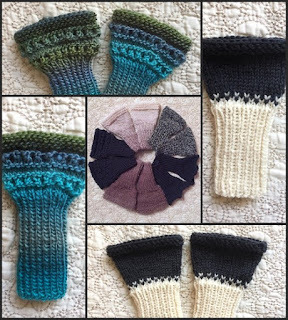 If you have a hard time knitting on circulars, or double pointed needles (DPNs), check out my post where I wrote another pattern of this crown for knitters who use only straight knitting needles. CLICK HERE to see the post. IMPORTANT - use the knitting needles suggested by manufacturer.